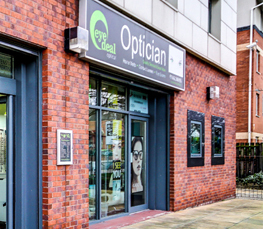 Here at Eye Deal Optical you will find a huge range of frames from NHS/budget to the latest designers. We always have over 1000 different frames in stock, from full rimmed to rimless frames so you will never be stuck for choice. Our experienced staff are always at hand to advise and help you choose the perfect frame. Current designer ranges include Ray Ban, Versace, Armani, Oakley, Michael Korrs, Diesel, Guess, Ted Baker, Police and Oasis. We also have a wide range of traditional and modern gents and ladies frames as well as plenty of fashion frames for children and teens. Many of our frames can be provided free on the NHS for those who are entitled. We can also provide safety spectacles and sports eye wear.